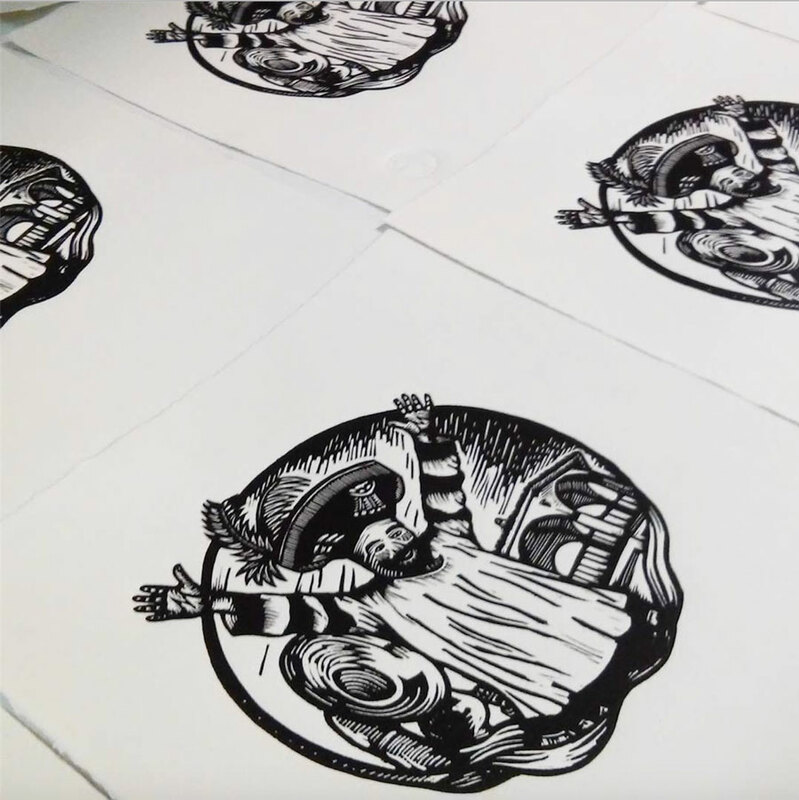 I love looking at other linocut artists work online, in books and at exhibitions all the time. There is so much amazing work being done and inspiration out there! 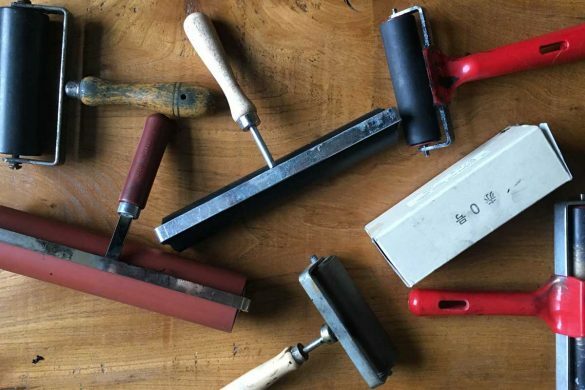 Draw Cut Ink Press is a platform intended to promote the linocut and lino print art form as much as possible, so I wanted to promote some of my favourite linocut artists. I’ve found these guys and girls on Instagram. They are all doing great work, some of them have thousands of followers and others only have a hundred or so, but i think they all deserve applause. I’ve always liked lino prints and wood cuts that have a medieval quality, and Slippery Jack absolutely nails this look for me. 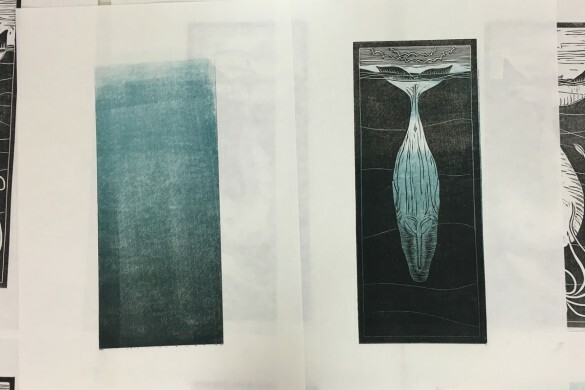 His prints have a wonderful quality that is both ancient and modern. If you like the old Ex-Libris inside book cover graphic prints, combined with a witch hunt/occult meets movie culture vibe, then you will love Slippery Jack. 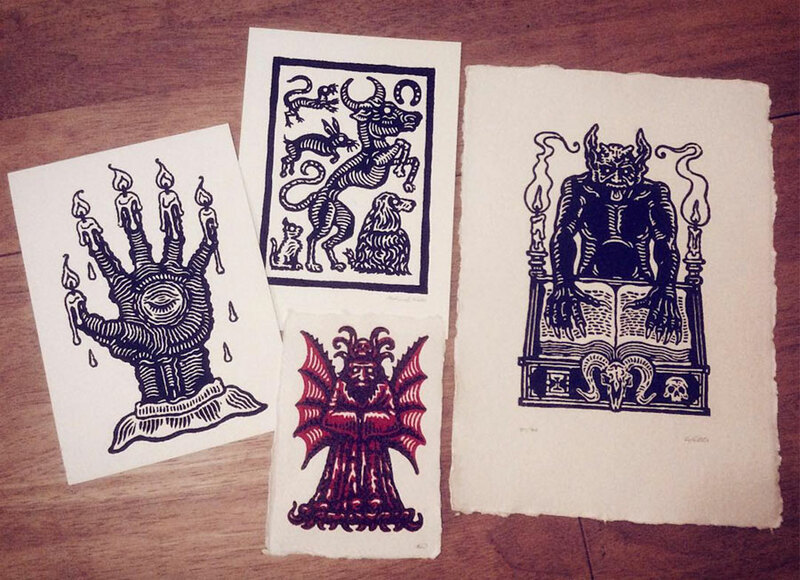 Derrick Castle was the first instagram linocut artist I found and began to follow. He was certainly an early inspiration for me and i think his work is fantastic. His style has a real American feel to it, from Bourbon whiskey and bald eagles to beautiful girls and day of the dead decorated skulls. Derrick makes his work look effortless. 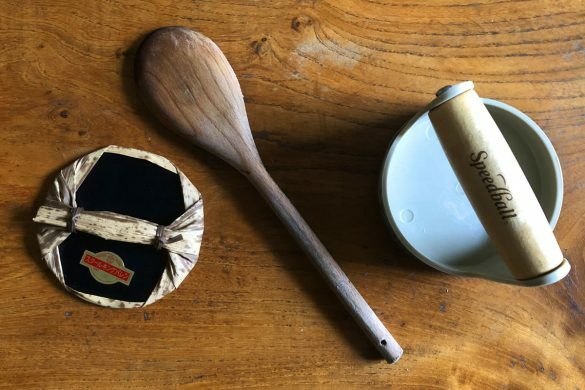 If his subject matter is not your cup of tea, you still have to respect the technique and quality of his work. Bravo Derrick, keep on rockin’ mate. 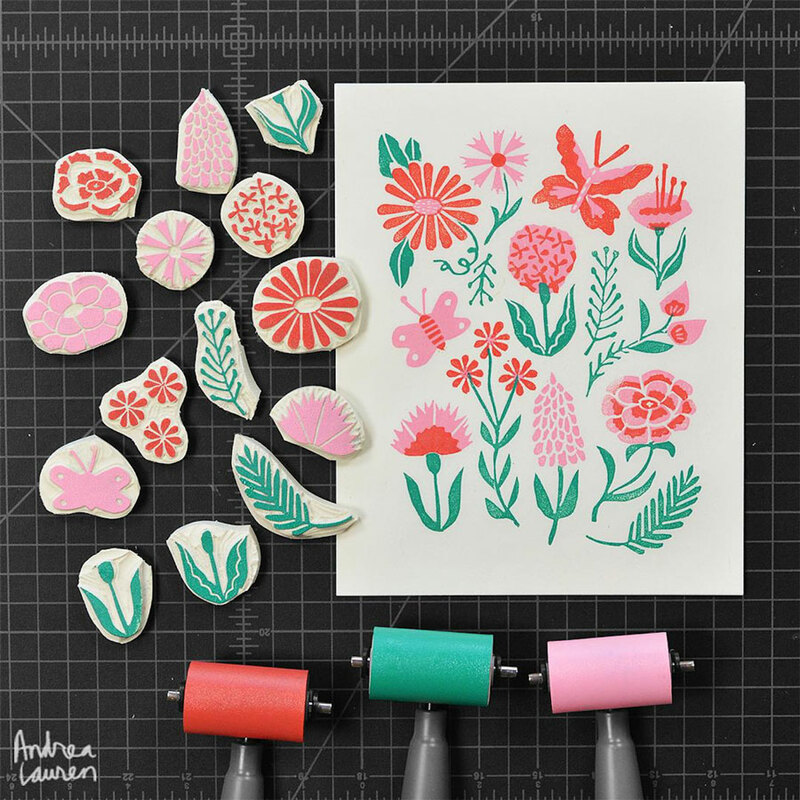 Andrea Lauren is an illustrator, printmaker, and textile designer. 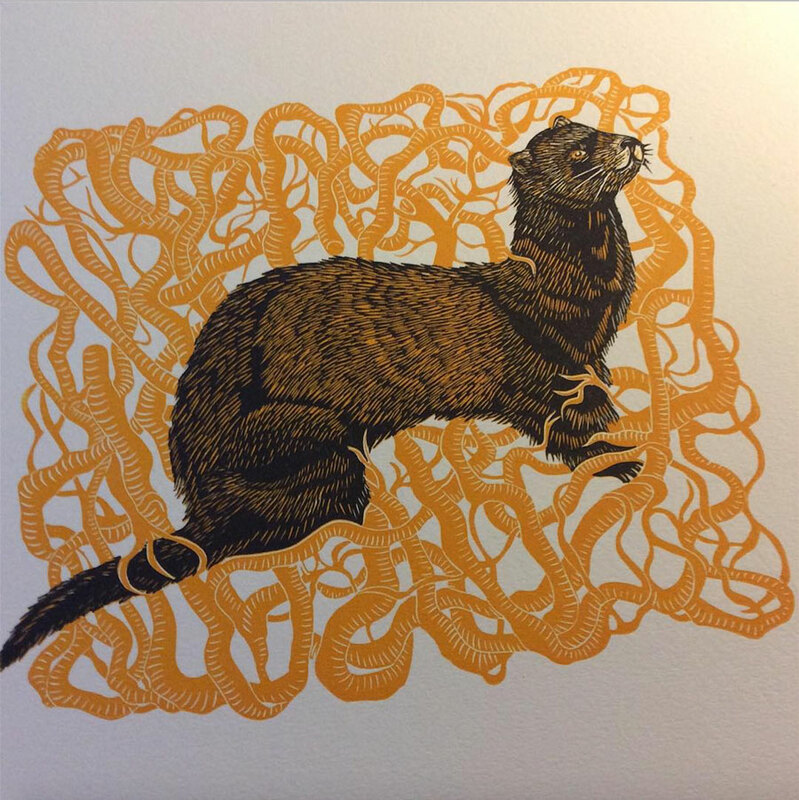 She’s developed a really nice linocut aesthetic that is closely tied to themes of nature with the odd nod towards folk art. What I love the most is the way Andrea uses colour blocks so nicely. She is undoubtedly a colour registration master, and if I was to take my hat off to her for nothing else it would be for that. Great work Andrea! 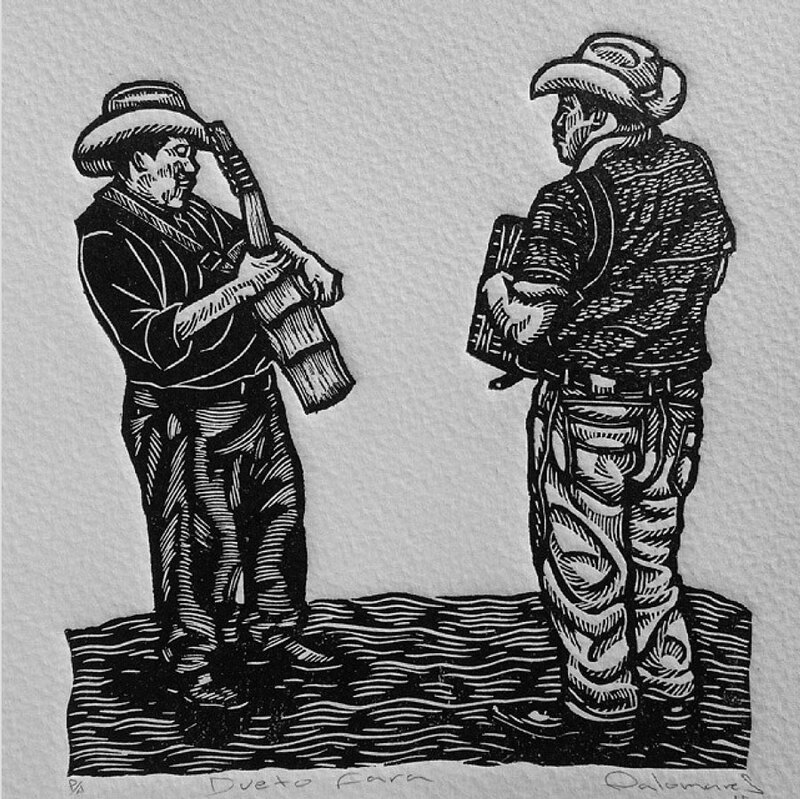 Duelling guitars by Mexican linocut artist Grabadopalomares – Hats off! Carlos Palomares is a Mexican artist who i think is doing some lovely work. At the time I write this he only has 212 followers on Instagram, but I think his work deserves a lot more attention. His lino prints have a fantastic ‘mexican’ look and feel that seems to be combined with a person who has an appreciation of the work of artists like Matisse. He seems to have a couple of styles he enjoys, and they are both really enjoyable to see. Knock back a couple of Tequilas and his work gets even better! 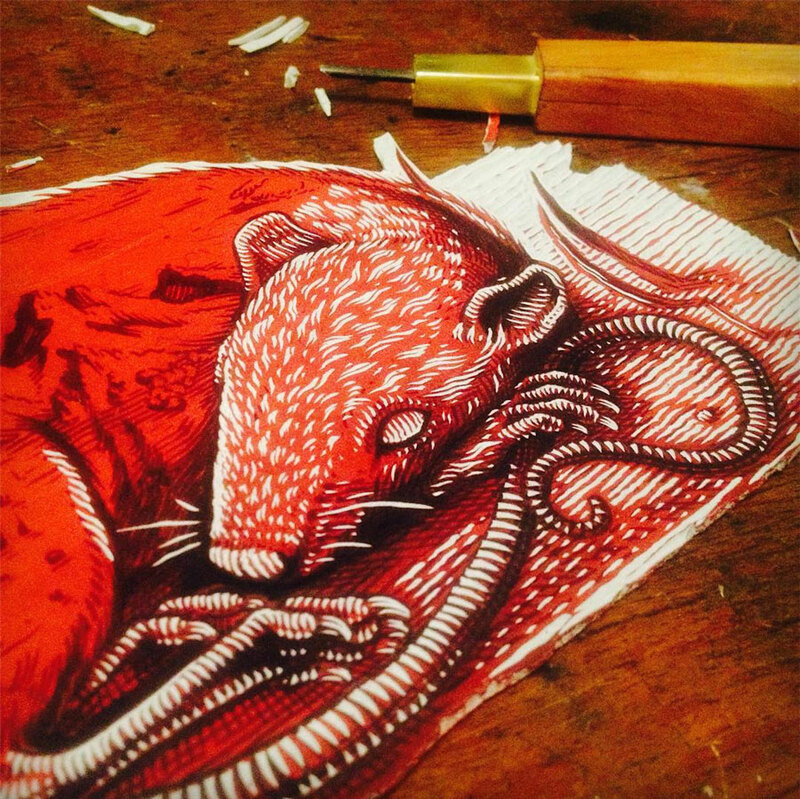 Master of detail Graficamazatl working on a rodent linoprint – amazing! 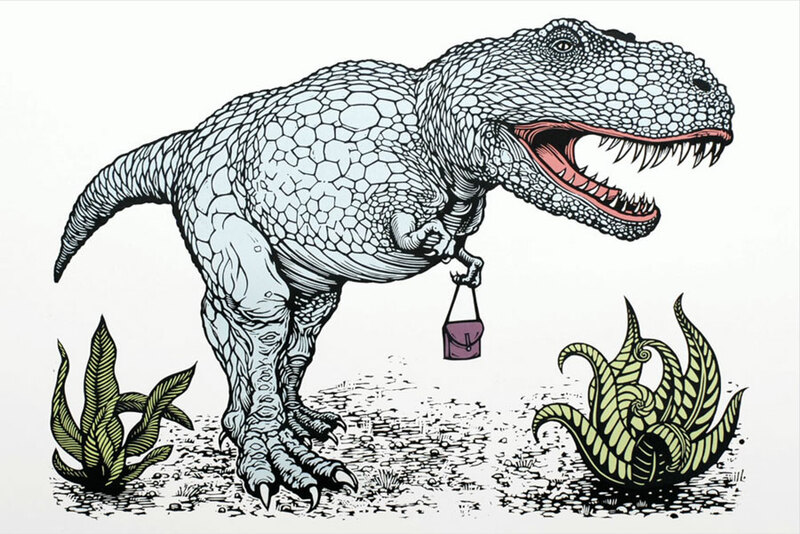 Mexican artist graficamazatl is massively packing the Wow factor into his politically charged work. This chap is one of my absolute favourites and if you have not heard of him or seen his work I hope that he proves to be as much of an inspiration to you as he is to me. 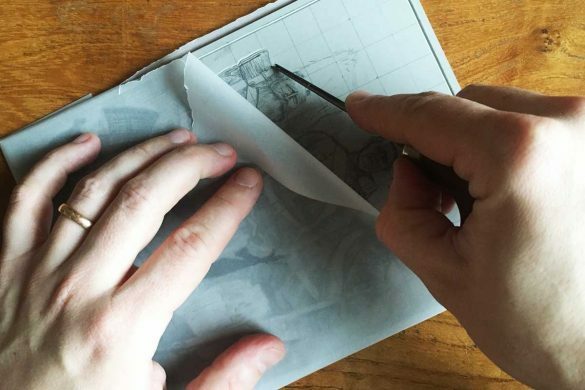 The work speaks for itself, the use of line, the level of detail and especially the way that he can fluidly describe areas of light and dark are incredible. Not only is he great technically as an artist, he is also highlighting issues in his native part of the world that need to have the spot light directed at them. Bravo. You just have to hit the follow button when you visit his page. 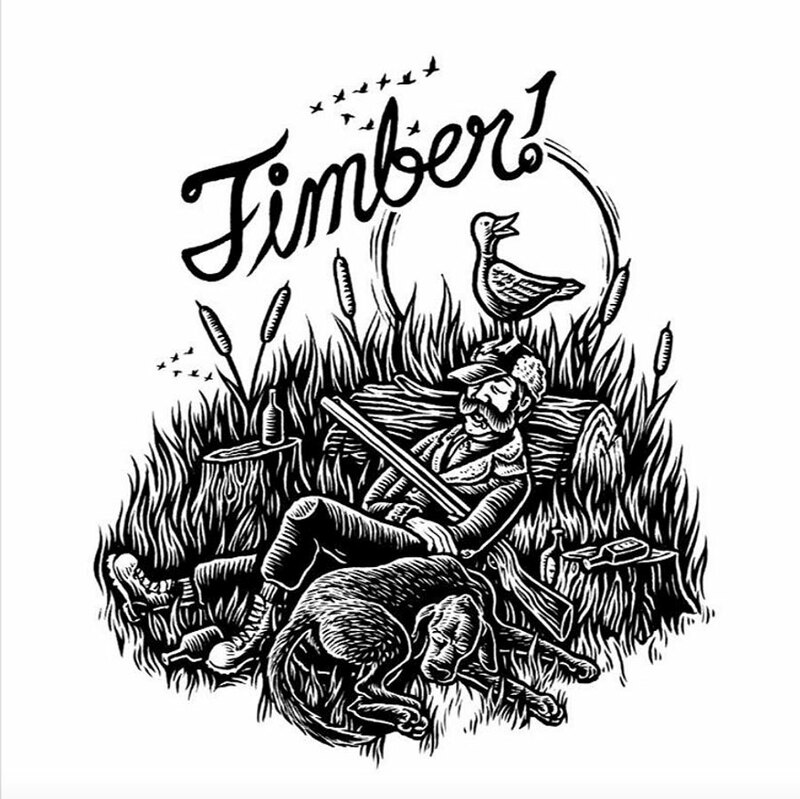 A really nice hunter and his dog having a snooze by linocut artist Chad Eaton, aka Timber! 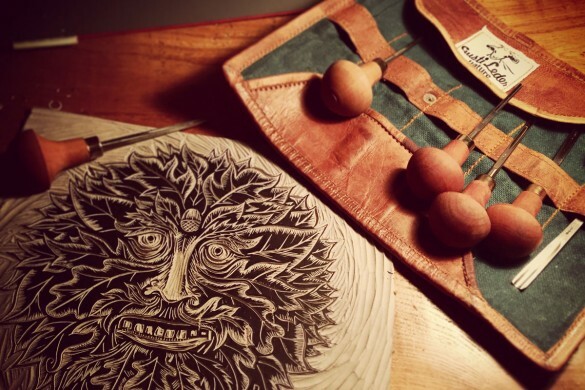 Amazing lino cut artist (maybe its wood cut?) with an American great outdoors underlying theme to all his work. 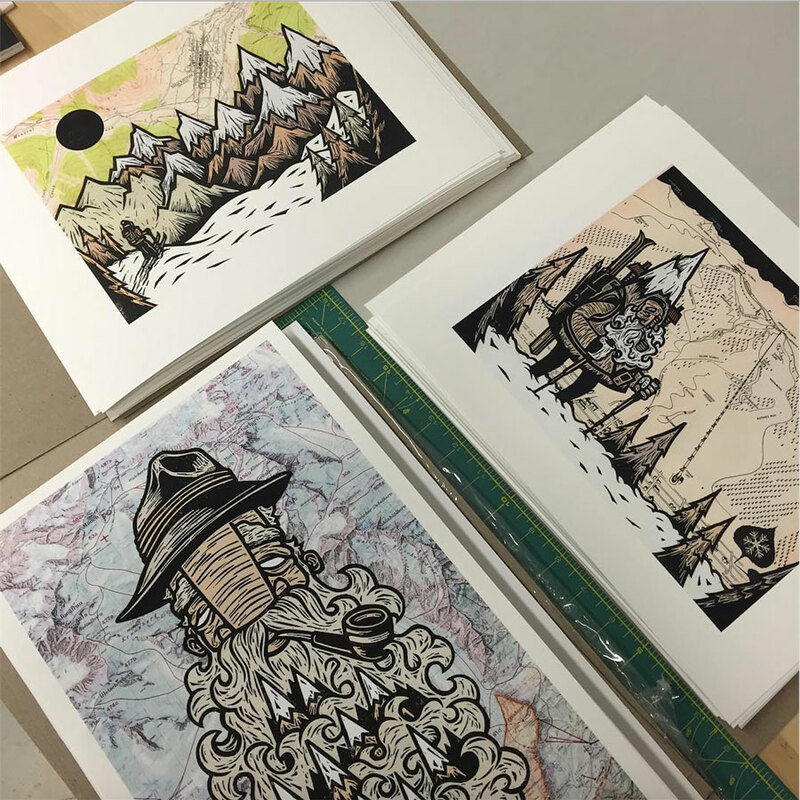 Yeti’s, wooded mountains, saws, axes and bears prevail throughout Chad’s work and I love it. The style has a real caricature vibe and ranges from designs that are applied from snowboards to t-shirts. He’s got a great ability to render hair, form, light and dark in a style that seems like you’ve seen it before but is definitely 100% his own. 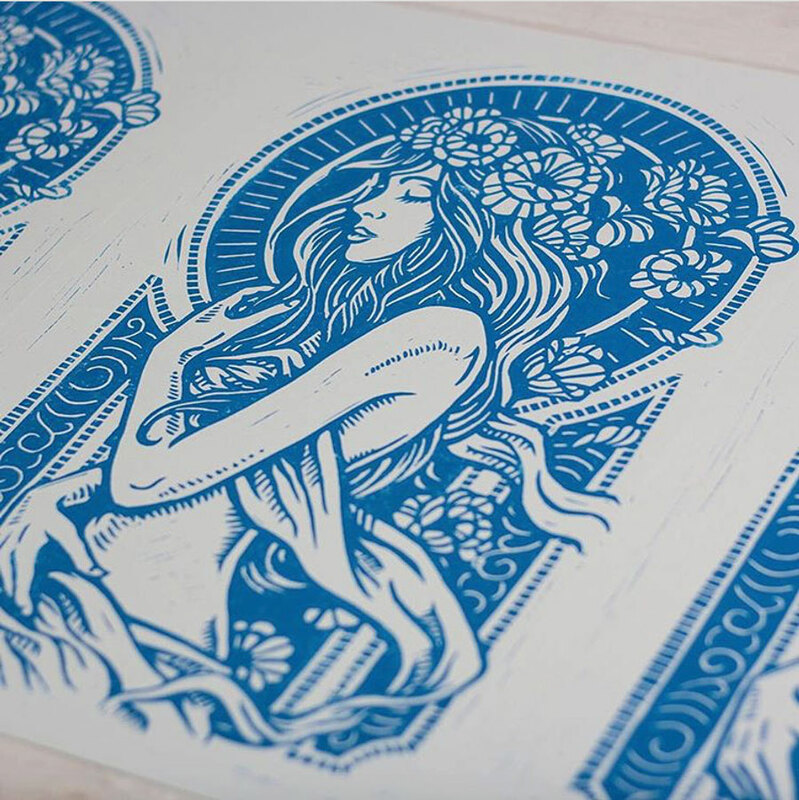 Part of me thinks he draws and then screen prints his work rather than relief print it, but I don’t know to be honest. 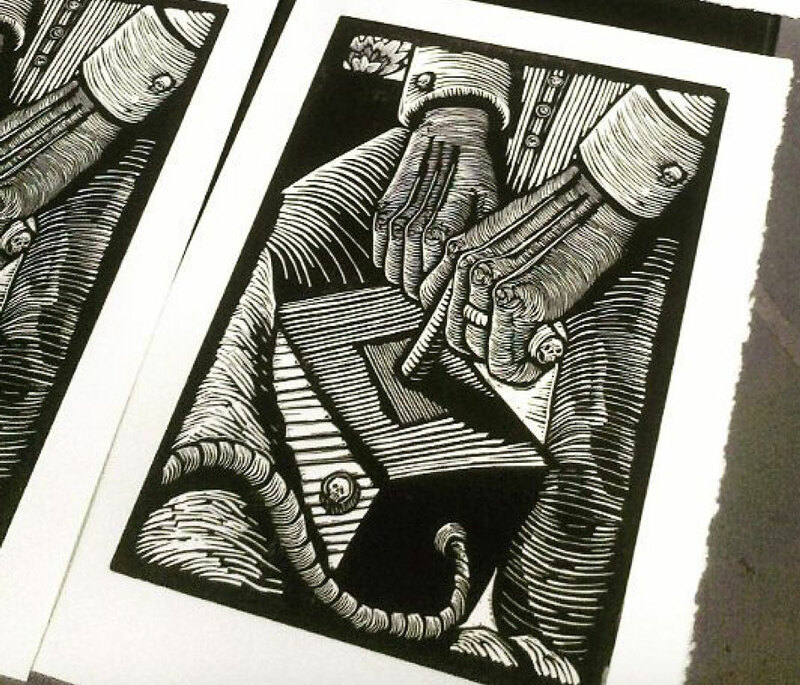 What I do know is that his work is packed with linocut inspiration. Lovely work. Not speaking Spanish I don’t know what the driving force is with Grabiel Grafica, but i think his work is terrific. Another great South American artist with clear influences from his regions art and culture. The themes of his work seem to be social and political, I’m not 100% sure about that. 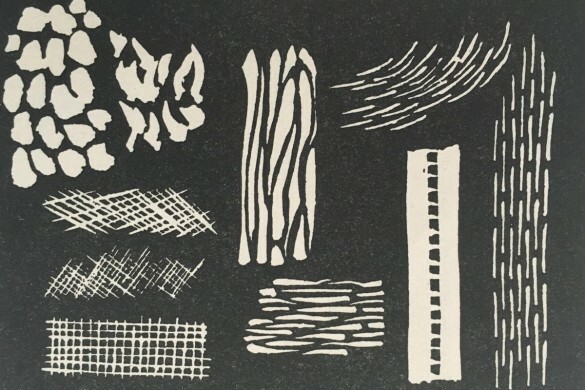 I do like the balanced black and white compositions, pattern and texture he achieves in his work, it has a fantastic graphic and bold quality. 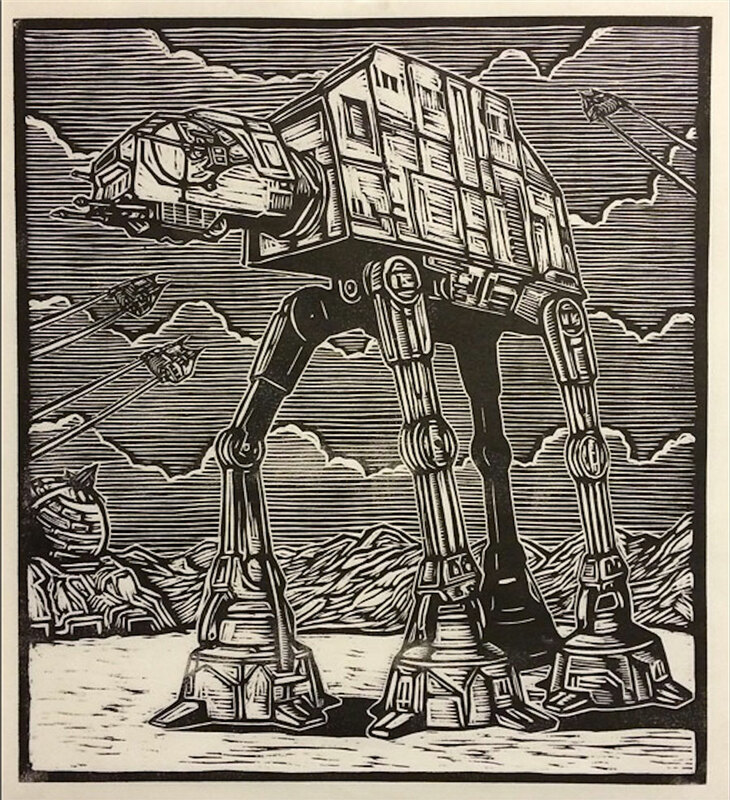 Stars Wars battle of hoth linocut from Brian Reedy – Amazing! Brian is my absolute, number one, take my hat off in respect favourite lino or wood cut artist. I bloody love and respect his work. If you don’t follow him, follow him. His style speaks for itself, but what i really like is his themes that centre around film culture with a distinct nod to Japanese wood cuts. He owns this style. If you like 20th Century pop culture from Star Wars to Ziggy Stardust, you cannot fail to enjoy his work. Cally has a lovely style that she has developed with a focus on plants and animals. Lots of people have one thing that they are really good at and I think that you have to respect the way way she can render hair or fur. That might sound like an odd thing to say but I really think it’s worth pointing out because it’s actually quite hard to do well. 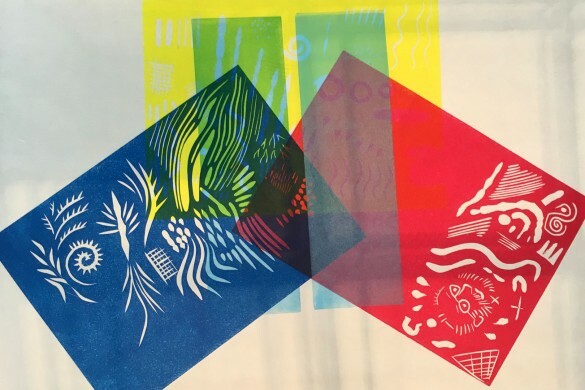 She also does some great simple work with colour and colour gradients, definitely worth a look. The fantastic work of Jeff Fellows printed onto maps – brilliant idea Jeff! John is smashing it, I love his style. 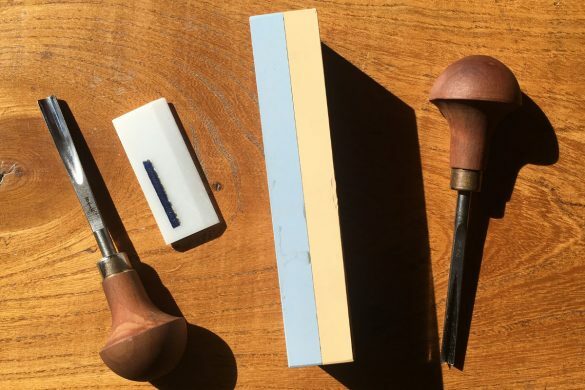 His linoprints are full of references to mountains, alpine trees and pick-axe wielding, pipe smoking miners. 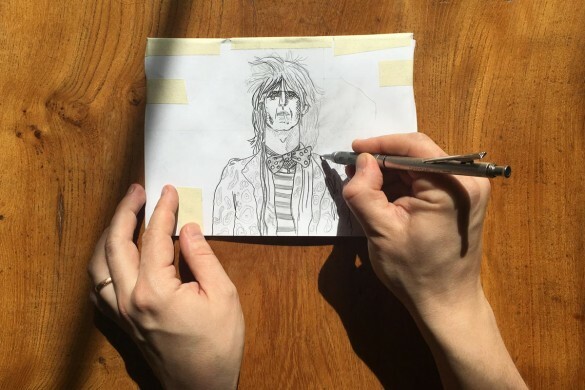 His style is similar to a few of the North American artists I’ve mentioned in this article, but at the same time completely unique. It still refers to the great outdoors and frontiers folk that pushed the boundaries out west looking for gold but his character style is completely his own and very unique. What I like the most is his subtle use of muted colour tones, the way that his lines all follow contours of the surface they describe and also the way that John has started to print on top of maps – amazing! Check out the insane level of detail on this – Boom! The fluid line master, Scott’s work makes my mind explode and my eyes fizz. I don’t think another artist mentioned in this post has a similar level of detail and contour in their work. 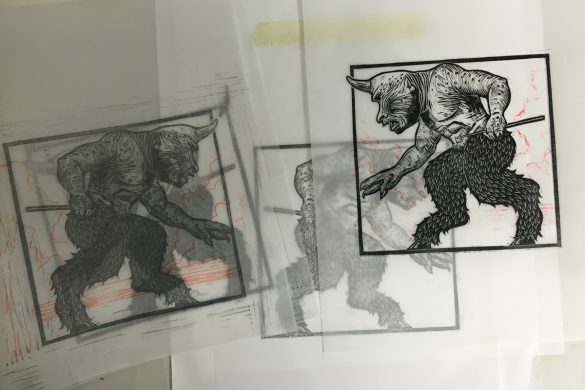 The theme of his work is predominantly focussed on up-close filmic snap shots – like heavily stylised storyboards or comic book stills which reveal his equal love of animation and motion graphics. 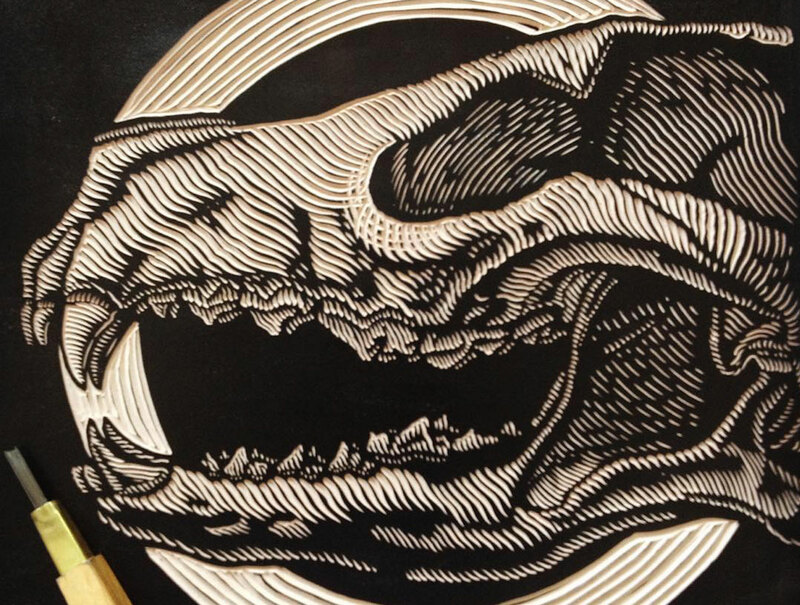 His lino prints are unique, and when you scroll down your instagram feed you won’t mistake Scott’s work for anybody else. 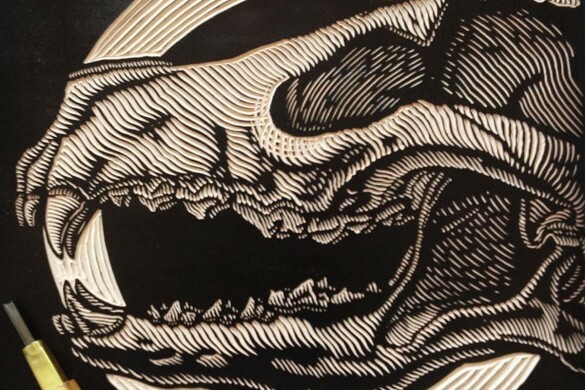 UK based lino print artist Nick Morely, is another great linocut artist I can’t not mention. 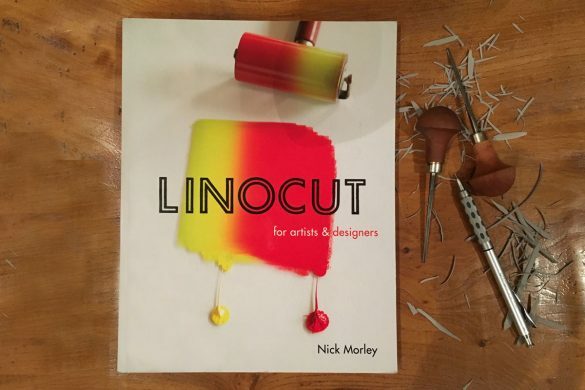 I had the pleasure of meeting Nick and worked in his studio where I saw his work up close. 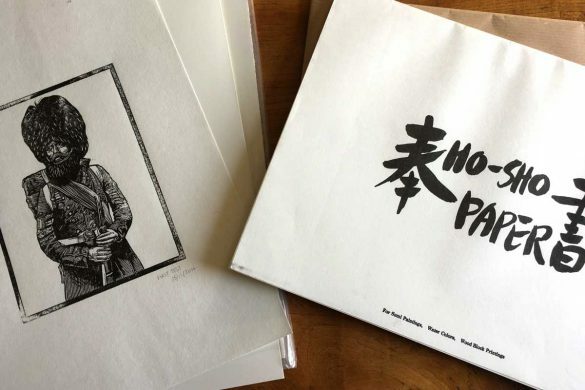 I really like his multiple colour graphic prints, which have a wonderful book cover quality that must explain why so many publishers use his work. Great guy, great teacher, great work. 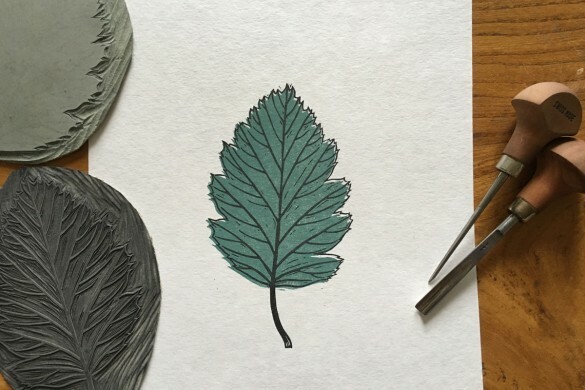 Instagram really is a great tool for finding inspiring printmaking. I followed a few of these guys already but will be checking out some of the others too. I’m so glad I found this site! 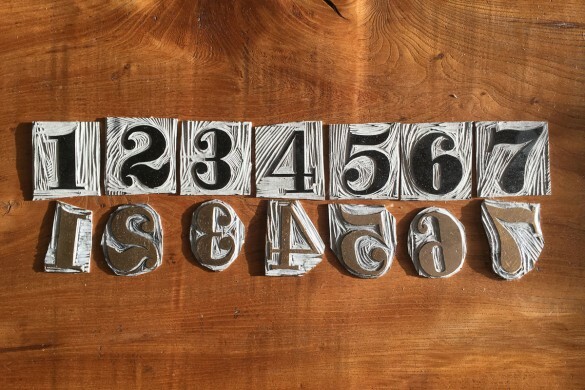 Ive loved wood/ lino / aanything, block prints for a long time. I do “prints” sometimes via my computer, ( I heard that gasp of disgust!) limitations and style are diferent but its fun to see how much can be done with blocks of black on white, or monotone colour.